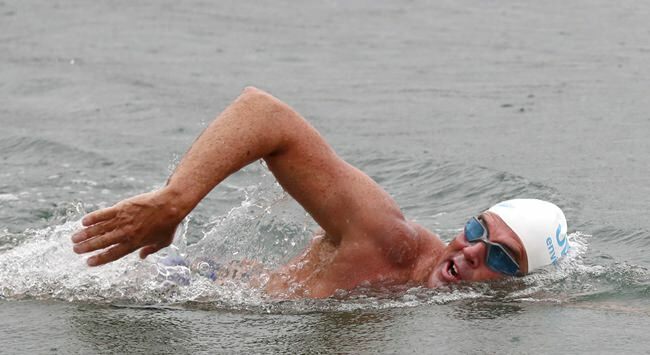 London (AP) — A British swimming association says endurance athlete Lewis Pugh has completed his 330-mile (530-kilometer) swim along the length of the English Channel from Land’s End to Dover — the first swimmer to do so. The so-called Long Swim was a bid to raise awareness about ocean pollution and rising water temperatures because of climate change. Members of the group Surfers Against Sewage joined him on the beach after taking part in a litter-picking exercise in anticipation of his arrival.